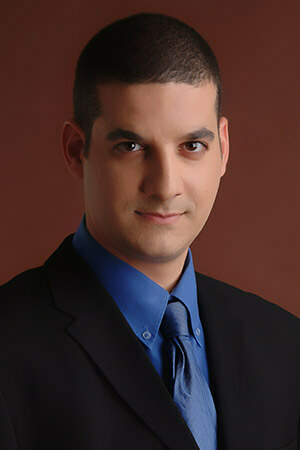 Since 2003 attorney, economist, and international expert in the field of persuasion, Dr. Yaniv Zaid – “Doctor Persuasion” – a jewish business person from Israel – “Start – Up Nation”, has been a highly recommended consultant and lecturer, teaching others how to improve their marketing, presentation, sales, and persuasion skills. Dr. Zaid has given over 1,850 lectures and workshops in 4 continents, and has provided personal and business consulting services to over 2,200 companies and businesses in all fields, including insurance companies and financial institutions; communication, cosmetic, pharmaceutical, high-tech, and real estate companies; factories and product manufacturers; consulting and service companies; academic institutions; government departments; the security industry; healthcare providers; nonprofit organizations; and professional bureaus. His 6 Best seller books were translated to many languages, including “The Jewish Persuasion” and “Persuade and Influence any Audience”. This lecture / workshop reveals the most innovative and successful tools for increasing your income, building your professional authority, creating and maintaining a community of customers, engaging in creative marketing, and maximizing your sales. Apply the skills and strategies you will gain here – the tools that all Jewish business people live by, and the tools that made Israel the largest start-up company exporter in the world – and your business will soar! The workshop / lecture is tailored to suit the number of participants and the forum they are taking place in. It’s intended for managers at all levels, team leaders, sales, marketing and service professionals, call center employees and callers, instructors and speakers, technicians and technical and technological professionals. The lecture / workshop includes: simulations and practice exercises, demonstrations and examples, video watching and a lot of humor. “The luxury paradox” – how do you make your customers and employees feel important, appreciated and happy, but on your own terms? “Polarizing messages” – how do you get your customers to snap out of their indifference and motivate them to act in the digital age and in a sophisticated and competitive market? “Blue Ocean” – how do you create a business opportunity in any situation? “Viral marketing” – how do you get people to talk about you as much as possible (and say good things, of course…)? How do you make the most of your potential on a personal, business and professional level? How do you increase the number of collaborations (also with colleagues and competitors) and create a positive and lasting network of relationships? How do you network properly, even if you’re extremely shy? How do you incorporate humor, examples and data in conversations, meetings and presentations? How can you succeed with your business outside Vietnam? This is guaranteed to be a great experience – the participants will learn, practice, laugh and have fun!